The Degen DE1127 is a portable, DSP-based shortwave, MW, FM stereo receiver with a built-in 4GB MP3 player and recorder. This unit can record via built-in microphone or via radio broadcasts. 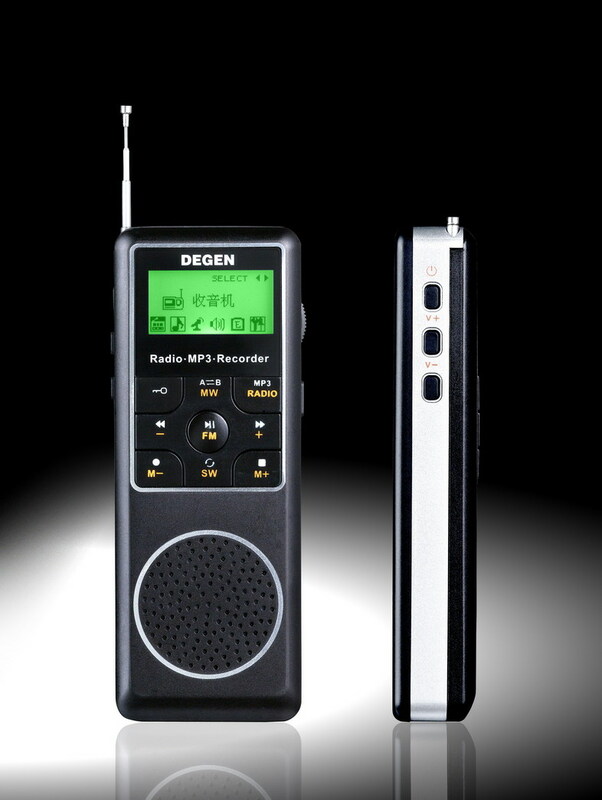 Currently, the Degen DE1127 is only available from sellers on eBay.  LCD screen displays frequency, signal strength, and battery level etc.  Size: 110 x 41.5 x 19mm. Currently only available from sellers in China/Hong Kong on eBay (see link below to auto-search. This entry was posted in Degen, MP3, Portables and tagged DE1127, Degen, Degen DE1127, MP3, MP3 Shortwave Recording. Bookmark the permalink.